Do kids worry? You bet they do! And it robs them of the joy God has planned for them. We created a lesson in our curriculum around the principle of "dump and fill." It goes like this: When fear (also known as worry) has a grip on you, dump the lie you are believing and fill your mind with God's truth. “When I was about your age I had a terrible habit…” These words are bound to catch the attention of any child. It happened several weeks ago when I was an extra set of hands for a small group of 5th grade boys. The large group lesson taught that day was about Nicodemus coming to Jesus at night. As usual, Jesus cut to the chase when He announced that this learned old man must be born again in order to reach the Father in heaven. So the small group lesson was all about the one way to reach God. As always, we use discussion questions to lead kids in small group. 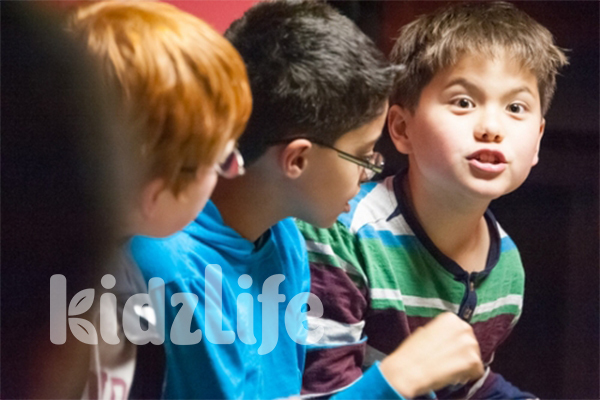 The leader asked something to the effect of, “How can we get to God?” Kids started calling out answers. One boy who was sitting at the edge of the group said in an earnest voice, “Go to church.” His pitch rose slightly at the end of his statement, making it a pseudo-question, when his eyes caught mine. The leader was fielding several other answers and didn’t even hear this particular child. So I knew I wanted to address it. I called him aside for a minute. I affirmed his participation by saying that going to church is a great thing to do. But as far as getting to God, I had a story to tell him. “Absolutely it was. Now here’s the thing: I went to church almost every week. Did going to church take away the fact that I stole something?” With wide eyes, he shook his head no. I believe that true (and embarrassing) illustration will probably stick with my young friend. The truth is, I have done far worse. But for him, it made an impression. When we keep it real with our kids, it has way more impact than when we talk in theory. 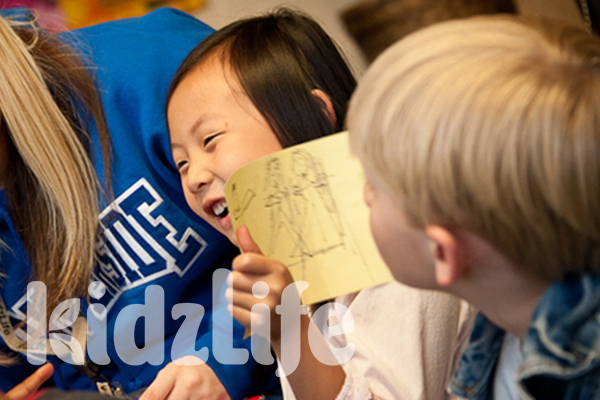 Kids need real life examples–good and bad. Of course we keep it age appropriate, but we don’t shelter them from our wrong choices and our own path to God. Our faith is real so we are not afraid of the truth. On a side note, as I lay in bed a few days later, God opened my eyes to a deeper reality. I was thinking back over this story and my days as a pint-sized pickpocket. I thought about the conversation with my young 5th grade friend that day and the truth I was trying to convey. I have said it, taught it, believed it: “The Lord laid on Him the sins of us all” (Isaiah 53:6). But suddenly an overwhelming reality struck me: It’s as if Jesus stole that change from my brother instead of me! The great exchange on the cross turned me into an innocent bystander! After all, Jesus is not confined by time or space. It’s more than just theory. Tears literally began streaming as I realized this truth applies to all of the things I have done. He took those sins onto Himself. Jesus was declared guilty at the excruciating moment that God turned His face away from His Son (Isaiah 59:2). Deep in His soul, Jesus felt it when He cried out, “My God, My God, why have you forsaken Me?” (Mark 15:34) Never have I felt so clean, so pure. Jesus took it. He REALLY took it. I am pure as the driven snow. No, pure as the perfect Lamb. What a Savior we have! As a teacher, I have to believe that God wants me to share what He reveals to me. 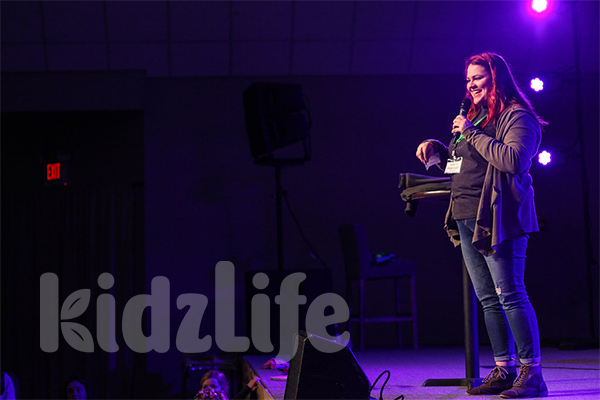 So, a few weeks later, as soon as the opportunity arose, I stood in front of 70 elementary school kids and told the whole story again–this time with the deeper truth that when Jesus took my sin, it’s just as if He stole that money. With all my heart, I want these kids to “stand on the shoulders of giants.” I want them to learn at their tender young ages what God has taught me, so they can “inherit a double portion” in their own lives (2 Kings 2:9). If we ever wonder how God feels about His children, we need look no further than Luke 15. In your mind’s eye, can you picture this respected, gray-haired land owner stooping down to scoop up the ends of his robe so that he could run – RUN – to greet his son? One by one, the servants in the fields probably froze in place as the scene unfolded. This father set aside his dignity for the delight of his son. The good father owed his son nothing. But the good father couldn’t get to him fast enough. And how did the son respond? We aren’t told in detail how the story ends, but we know the son is greatly humbled and we are left with the impression that the son would never stray again. This is how Jesus described His Father. So how do we emulate these actions? The truth is, we have to be like God to act like God: not concerned about our dignity, not at all wrapped up in what’s best for me, not needing anything from those under our leadership. Ask God to fill any insecurity, so you are free to imitate Him (Ephesians 5:1). You are the one who will model this kind of love to the kids you lead. You are the one they will look forward to seeing when you lavish them with this kind of acceptance. Keenly hone in on the kids in front of you. Make the effort to seek them out in a crowded room. Squat down to converse with them. Take time to go to their ball games or dance recitals. Let them know they are treasured in spite of their actions (good or bad). The story in Luke 15 is referred to as “The Prodigal Son.” But since the term prodigal is defined as spending resources extravagantly, it might be more accurate to call it “The Prodigal Father.” After all, he lavished his son with an extraordinary amount of love and grace. We can do the same. Kids will be eternally impacted when you scoop up your robe and run toward them. Years ago, comedian Mark Lowry told his story of growing up in a less-than-happy home. He was hyperactive and most adults did not know how to handle him. He was constantly in trouble at home and at school. He joked that his dad worked out a “two for one deal” with his teacher. When he got a paddling at school for misbehaving, he would get one at home as well! While Mark has many stories of the teachers who were endlessly frustrated with him, he recalled one teacher’s assistant who had a very different reaction. When Mark was fidgety or disruptive, this sweet older lady would take him for a walk. They would walk (or skip or jump or bounce) down the halls and talk. As Mark expelled his energy, the wise woman would manage clever ways to talk through the lesson that he was missing in the classroom. On a very serious note, the comedian would say that this woman changed his life. She was the first person who made him feel valued. Jesus told this story in the context of salvation, but it really reveals the heartbeat of His Father. Every individual is incredibly valuable to Him. Every single one matters. So how do we mirror the heart of the Father? First, we agree that it is worth our time to go after every child. Especially the difficult ones. Shouldn’t church be the one place that they aren’t constantly in trouble? Shouldn’t church be the one place where they feel valued? Shouldn’t church be the place where we look deeply to find the wonderful traits God has knit into them and call those to the surface? This in no way implies permitting disruptive or disrespectful behavior! It just means that we need to go out of our way to find out what triggers the unwanted behavior, give grace for what we can, and let each child know how valuable he or she is to God. 2. Small Group leaders, talk to your co-leader and leadership team if you have one. They may see something you are missing, or may have experience with the child that can give you insight. Everyone should be on board with the plan you put in place. 3. Oftentimes the “one” will need individual attention. Find a volunteer who can be your go-to person when a child needs some space and grace. This will be a person with an abundance of patience who will take the child out of the group and pour into him or her individually. (Remember, an adult and child should never be alone in a secluded place. This one-on-one time should be done in an open, very visible space.) It may seem overwhelming to find yet another volunteer, but ask God and He will provide. There might be a gifted adult who loves a challenge, or one who prefers one-on-one discipleship. It might even be someone who was once this type of child. You never know how God will meet the need! Of course, throughout the process, pray. Pray that these kids reject any lies that they have heard about who they are. And pray they believe the truth that they are the apple of God’s eye (Psalm 17:8), uniquely knit together to know Him, love Him and praise Him. For what? What was the offense that angered God? Robbing the Temple? Causing an unjust war? Stealing from widows? What was God angry about? Scripture lists several actions and attitudes that anger God, but inaccuracy is not one that usually comes to mind. We should take heed. When we teach kids about God, if we add anything at all or take anything away, we aren’t showing Him to be as good–as perfect–as He actually is. God is the ultimate mixture of grace and truth (John 1:14). We can’t leave out His perfection in preference to His grace, or major on His righteous requirements while glossing over His grace. God’s righteousness makes His grace all the more astonishing; His holiness makes His mercy even greater. Motivated by love, this God with no fault of His own reached down to us–a sinful people–and made a way for us to join Him! So His lavish grace is the magnet that wins our heart and allegiance. It boggles the mind while transforming the heart. When you think about it, belief in Him is what God has asked of His created since the beginning. How can our kids believe in Him if they don’t really know who He is? But when we show God for who He really is, kids are so likely to fall in love with Him. He is entirely lovable. So if you teach kids, first things first. Dig into His word and read it with an open mind. Ask Him daily to reveal Himself to you–in His entirety. Ask Him to shine His light on any wrong thoughts so that you only teach full truth. He wants us all to know Him as He is; that is eternal life (John 17:3). * It should be noted that, mercifully, God allowed Job to offer a sacrifice and pray over his companions to atone for their sin. Our God is fully grace and fully truth. When teaching men to pray, the first thing Jesus said was, “Our Father in heaven, hallowed be thy name…” The Greek word for hallowed is hosios. It means sacred, consecrated, treated properly, right, purely. God’s name–His reputation–is of the utmost importance. Knowing Him is eternal life. Knowing Him accurately is all that matters. God is good and generous and truthful and patient and kind. When we are exposed to God, as He truly is, that is the motivation to follow Him. We can’t take teaching lightly. We cannot come into this with a lens that is not 100% Biblical. We cannot bring our tradition, our legalism, our parent issues–nothing but Him. When we do it wrong, kids grow up thinking the wrong things about God. Do you feel the weight of that? I’m sure that a well-meaning Sunday School teacher taught that narrative in an effort to coerce good behavior. But it does not portray God as He is! Certainly, God will judge sin that is not atoned for by the blood of His Son. But is God One who spends His days taking fastidious notes on our behavior in order to humiliate us, or did He send His Son to remove our sins as far as the east is from the west? Does He long to rub our faces in our failures or are His mercies new every morning? The Bible screams the latter (Ephesians 2:1-10; 1 Peter 1:3-9; 1 John 1:9). As teachers and small group leaders, we should be quick to ask God to take away any false perception we have of Him so we cannot pass it on to the next generation. We should dive into His word so we recognize the heart of God and convey it accurately to the young ones under our care so they will know Him–as He is–and have eternal life. Take note. When this conversation took place, Eve had not yet been created. Only Adam heard the clear warning from God. God gave Adam freedom to eat his fill of every tree–except one–or he would surely die. Then God said that Adam should not be alone, and then He crafted Eve from Adam’s rib. As Eve’s husband, one of his main tasks would be to protect her. God entrusted Adam with His command. It was Adam’s job to pass on the truth God spoke to him. It was his honor to convey the beautiful, lavish heart of God’s provision, as well as the dire consequences of disobeying. Did he? It was some time later when Eve was wandering in the garden, near enough to lay eyes on the forbidden tree. We can imagine the sly intonations of the serpent as he cast doubt on what Eve had been told. “Did God really say you must not eat from any of the trees in the garden?” (Genesis 3:1) It’s interesting to note that Eve’s reply entails her adding extra words to God’s command (Genesis 3:3). Within moments, Eve was convinced that the serpent’s plan was better for her than God’s. She took; she ate; she offered it to her husband. We are not privy to Adam’s conversations with Eve. We don’t know whether he failed to convey the word and the heart of God accurately. But we certainly know how important it was for him to give it all he had. It’s hard to imagine Eve being so easily swayed if Adam had spent the previous days walking her through the lush garden, excitedly pointing out how good and creative and kind God must be to bless them with the rich bounty of delicious fruits He had given them. As leaders of kids, we have the same mandate as Adam. We have been entrusted with God’s word and it’s up to us to share it accurately: nothing added and nothing taken away. It’s up to us to express the good, faithful heart of God so our kids have every reason to trust Him when temptations come their way. It’s our honor to be God’s messengers. Let’s ask Him to empower us, because there is so much at stake. Jesus famously said, “It is more blessed to give than to receive.” (Acts 20:35) Do you ever wonder why we so often rob our kids of this blessing? We unwittingly train our kids to be little takers instead of givers. It permeates our culture in America. Kids can’t go out for lunch (which, in itself, should be a treat) without clamoring for a toy to go along with the meal that was purchased for them. Years ago, for our Wednesday night program, our system was to set up a “store” in which our kids could “spend” the credit they earned by memorizing verses. The result? Kids pick out two or three trinkets that would wind up under the back seat of the SUV before they arrived home that night. At best, it was a momentary perk; at worst, we were valuing the Word of God with a ten-cent plastic ring or smiley face pin. Then we stumbled onto to something better. Much better. We can’t take credit. We borrowed the idea from another church who graciously answered all of our questions. Now our kids earn the ability to give to those in need. Yes, they still get a chocolate kiss for instant gratification, but long term, they save up paper dollars (one earned for every verse recited) and a few times a year, they choose items to buy for others. Whether it’s a mosquito net to protect a family in India, a baby chick that will grow up to supply eggs for a family in Nairobi, or a soccer ball for a school in Peru, our kids are giving items that matter. And oh how they love it. This is not an inexpensive venture, as our beloved congregation substitutes a real dollar for every dollar earned. But as we see our kids excitedly pooling their resources together and debating which items would help someone the most, our spirits bear witness to the truth Jesus spoke, and our kids feel the blessing. We've all been in the situation. It's time for corporate worship with our kids. Most of our kids are singing, perhaps doing motions, lifting praise to God. But there are a few kids who are distracted (or distracting). When is the right time to intervene? 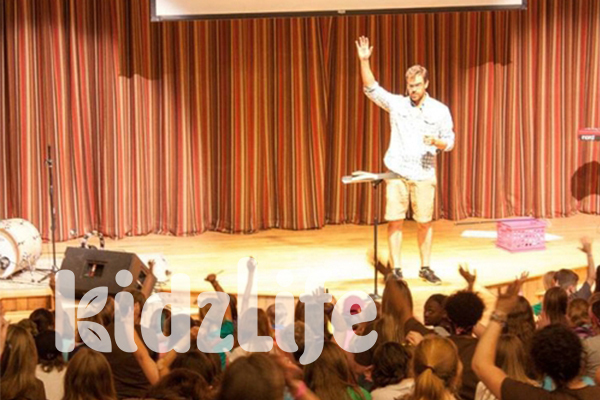 Worship is responding rightly to the revelation of God, and we believe it’s an integral component of kids' ministry. The best thing you can do to encourage kids to worship is to teach them the amazing goodness of God. Then, during worship time, be engaged yourself. Kids will follow your example. If leaders are hanging back and talking to each other, kids will naturally assume it’s time to talk to friends. But if they see you focusing on the Lord and singing His praises, they will likely do the same. A good rule of thumb is: Of course you can’t force a child to worship, but you should step in if he or she is distracting another child from worshiping. (The same could be said of listening in large group or participating in small group.) If a child is talking, rough housing, or otherwise calling attention to himself, a gentle correction is in order. I remember walking into our middle school room during a beautiful worship set one morning. 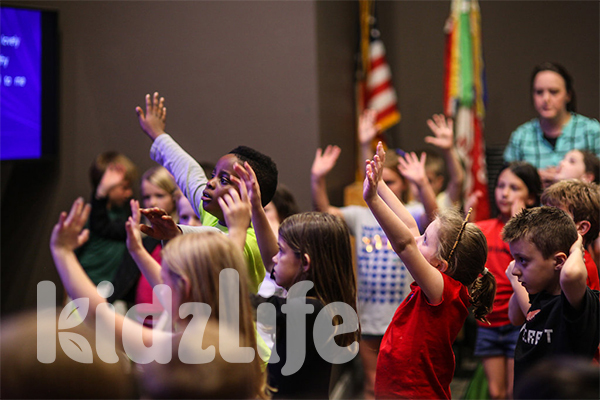 Almost every student had their hands up or eyes lifted upward, singing and considering the goodness of God. But as I slipped in through the back door, something quickly caught my eye. About four rows from the back, one of the boys was reaching over several other boys in an attempt to grab a friend’s baseball cap. With the grabbing and wrestling that ensued, every eye in the four rows behind them was focused on them, not on God. This is a time to intervene. But rather than giving a sharp word or disapproving look, take time to get to the heart of the matter. Gently pull the disruptive child aside and with genuine concern, say something like: “You know, worship is the time when we give God the attention and gratitude He deserves. All of the kids around you want focus on God right now. But when you draw attention to yourself, you are actually stealing the attention that God deserves. I would hate for you to be in the position of taking something that belongs to God, so why don’t you sit next to me and we can worship together.” (Malachi 3:8) This approach shows your love and concern for the child while you quell the distraction. We have a saying around here: Church can either be a cruise ship or a battleship. It can either be a place of light entertainment, or it can be a place to ready its inhabitants for combat. If this sounds over-dramatic, please consider the words of Jesus, “The thief comes only to steal and kill and destroy.” (John 10:10a) Our kids are under assault. The enemy craftily conspires to steal their innocence, destroy their families, and take their very lives. And the weapon he most readily uses is deception. He can accomplish his mission when he entices our kids to believe his lies. The only counter to lies is truth. This is not to say we don’t have fun! 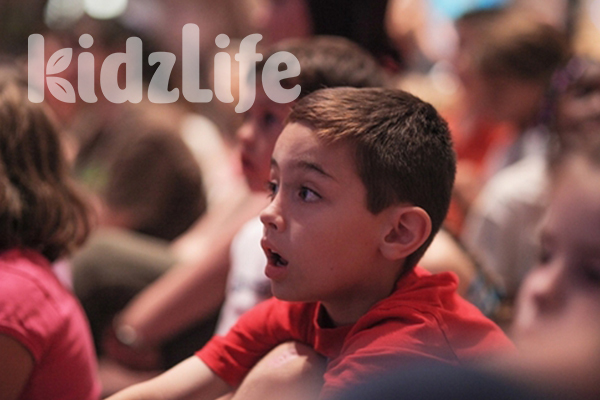 Quite the contrary, our kids love coming to KidzLife and they often invite their unchurched friends. Our evenings are loud with the style of music kids love, and it’s even crazy at times. We incorporate technology and we strive for excellence in all that we do. But we never lose our focus of presenting God’s truth, because the enemy is on the prowl. Our kids have been prepared for the battle. They have been groomed for victory. They are armed with the truth of the Living God. Therefore, we should not be afraid for our kids to step out into the world; the world should be afraid of our kids! What’s More Important Than Raising Good Kids? Our entire walk with the Lord comes down to one key principle: Belief. While this passage is deep with symbolism and meaning, consider this one simple thought: God keeps our prayers. In gold bowls, He keeps our prayers. Why do our meager thoughts and utterances mean so much to the Creator of the Cosmos? It may be because our prayers are ultimately proof of our faith. When we pray we are telling God that we trust Him. Why else would we ask for His help? Why in the world would we waste our time and energy coming to Him if we were not convinced that He IS and He holds all the power? Indeed, our prayers are little scraps of evidence that we believe. Therefore, He stores them like precious mementos in a treasure box. Belief is what God wanted from Adam and Eve in the garden. We can almost imagine God begging the question (in a very humanized paraphrase): “I told you this would harm you. I know best. Why won’t you believe Me?” And several millennia later, Jesus echoed His Father’s sentiments. When asked what works could be done to please God, Jesus answered, “This is the only work God wants from you: Believe in the one He has sent.” (John 6:29). This core principle of belief is what we must impart to our kids. Our goal is not moral kids who tow the line and look clean-cut on the outside. That would be far too shallow an outcome! No, we want kids who BELIEVE God. When they truly grab hold of His goodness, they’ll trust His instruction, and their behavior will (super)naturally fall in line. And, much more importantly, they will live in relationship with God as He designed it to be (Leviticus 26:12, John 15:4). If we’ve said it once, we’ve said it a hundred times. “If you give them too much, they’ll walk away with nothing.” And it bears repeating one more time. “If you give them too much, they’ll walk away with nothing.” This could be said of any age group, but we have found it to be particularly true for teaching kids. You’ve certainly heard of this experiment: Put twenty random items together on a table. Have someone examine the contents for thirty seconds. Then have him close his eyes, wait a minute, and then list the items. The average person can recall a few. But what if there was only one item on the table? With only one item to look at, is there any way the person wouldn’t recall the singular item? This method is certainly applicable to teaching Bible lessons to kids. The problem (if you want to call it that) is that we have so much rich, transformational material to teach from God’s Word that sometimes teachers find it difficult to know when to stop. A good rule of thumb for large group is to teach just one main point per session, and be sure that every Scripture, story, and illustration expounds on that main point. To keep you on track and off the rabbit trails, write out your main point and refer to it often as you prepare. Ask yourself, “Does the illustration or personal story I’m planning to tell demonstrate this point?” If not, save it for another lesson. Remember, kids (K-5th grade) can usually sit for 20-25 minutes. If you keep them longer, it’s possible that the only thing they will remember is how long your lesson was! How Did the Disciples Share Their Faith? We often hear the phrase “share you faith” in the context of evangelism, using a gospel presentation such as CWT or Romans Road. But consider how the disciples shared their faith in Acts 3. Peter and John headed to the temple to pray. On their way, they passed a man who had never been able to walk. He could only beg for his basic needs because someone placed him next to the temple. Day in, day out, he knew the drill. As he sat on the ground, his line of sight, if you can imagine, was fixed on all the healthy legs walking past him. He had no hope of ever walking himself. He was resigned to the cold, hard, fact that he was–and would remain–a cripple. His highest expectation was a coin tossed in his direction. Hebrews 11:1 tells us, “Now faith is confidence in what we hope for and assurance about what we do not see.” This fellow had no confident assurance that he would ever walk. But along came two who did! Peter didn’t have material wealth to offer; he had something far greater! He had faith. He was certain that Jesus would heal this man. Where the beggar had no hope, Peter reached out and shared his, as if saying, “I am sure. Lean on my assurance.” And sure enough, the no-longer-lame man’s faith exploded! Then he had faith to share (verse 10). That’s what we do. As parents and as children’s ministry workers, we share the confidence and hope that God has given us with those who come behind–those who haven’t experienced what we have, those who need a faith to lean on. How Does a Personal Story Affect Your Lesson? One pastor said, “I could give the same sermon with a different personal story, and everyone will think I’ve given a completely new sermon. But if I tell the same personal story with a completely different text, everyone will think I’ve told the same sermon twice!” Funny enough, it’s the stories that stick. Why do personal stories strike such a chord? I believe it’s because kids want to know these things can really happen. These aren’t just ancient stories. These supernatural truths don’t just apply to bearded men wearing robes. Kids want to see the principles of God’s kingdom being lived out now–in our time, in our town, by real people. And don’t just share the “good stuff.” Certainly we want to tell kids about the times we’ve seen God work, and the times when we were submissive putty in the Potter’s hands. But do not be afraid to tell of the times you missed the mark. Kids are incredibly forgiving of your faults, and they will learn from your mistakes. They will appreciate your honestly and be encouraged that you failed once and rose to make better choices another day. The next time your young audience starts to fidget, engage them with a personal story. Watch what happens when you turn Biblical principles into a narrative that captures their imaginations. Have you ever read a verse to kids and then realized the words were way over their heads? I still remember, several years ago at church, a 3rd grader recited Hebrews 10:7 to me verbatim. Job well done. But when I asked, “Do you know what ‘atonement’ means?” he shrugged his shoulders with a very matter-of-fact, “No.” In fact, most of the words in the NKJV translation he had committed to memory were foreign to him. He might as well have been studying another language. And the saddest part was, he had grown so accustom to this practice, he didn’t even seem to realize that the words might actually have meaning behind them. So I began to explain each word and its definition. Now, there is nothing more fun than describing the incredible work of Jesus–especially to a child! But what I realized was, I was basically translating the translation he had memorized. I became a “middleman” of sorts. I was, on the fly, pulling words together to replace the words that were encrypted in his mind. Wouldn’t it be better for him to memorize words he already understood? I wasn’t the only one who felt this way. Our team set out to find a translation that kids could more easily understand. We discovered the New International Reader’s Version (NIrV), which is written on a fourth grade level. Based on the NIV, but referring back to the best and oldest copies of the Hebrew and Greek, the NIrV is simple and easy to understand. Shorter words are used in place of long or complex ones, and lengthy sentences are shortened. The highly skilled translators of this Bible poured over the original texts for untold hours and used the most appropriate words they could find. When a child reads this version, he understands for himself. When he memorizes it, he gets the meaning, and it can begin to transform his heart, and therefore his actions–no “middleman” required! “What a child really wants to know is: does your face light up when they walk in the room?” (Toni Morrison) Our volunteers often joke that everything seems to go wrong on Wednesdays. Files get mysteriously deleted at work, cars run out of gas, and kids accidentally leave a much-needed textbook at school. Stress can run high as we rush to church. But if you have the honor of working with kids, do your best to leave your stress at the door. Prayer is the very best way to do this. Seriously. If you’ve had a rough day, sit in your car for a few extra minutes and ask God to clear your mind, fill you with joy so much that it overflows, and help you to see His kids the way He does. The very next sentence begins, “We speak for Christ…” Let that sink in for a minute. For a period of time, ordained by God, you will be His mouthpiece. What will you say–and just as importantly, how will you say it? Will you be short and impatient, or will you speak with understanding as Jesus did? Will you listen intently for the answers to the questions you ask? 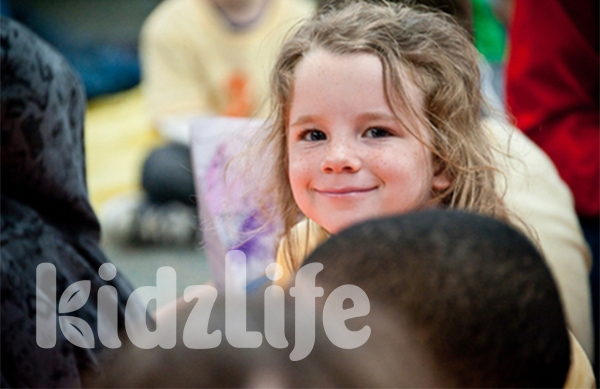 Will kids leave your presence knowing that they matter to God? Keep in mind that some of your kids (usually the ones who are giving you the hardest time) are dealing with very difficult situations. We live in a fallen world with broken people. Sadly, our kids are not shielded from the cares that affect us all. Let’s show them that there are Biblical solutions to the problems they face, and let’s echo the Father’s joy as He sings over each child (Zephaniah 3:17).